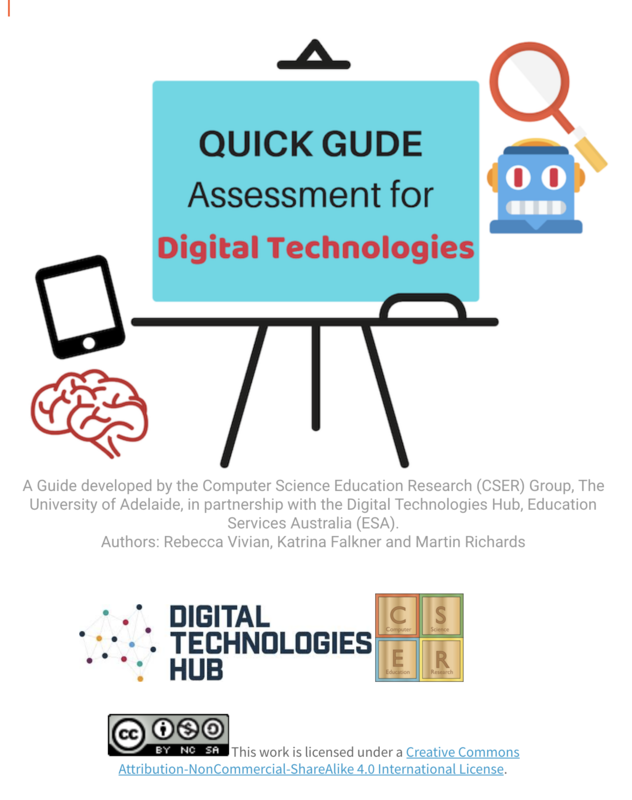 In partnership with the Digital Technologies Hub, we have also put together a Quick-Guide on Assessment for Digital Technologies. This guide brings together some key resources and advice on assessment for the F-10 Australian Curriculum: Digital Technologies. This resource features in our PL-in-a-Box Assessment workshop pack and is used by our Project Officers as a resource. The quick guide is under a Create Commons license, allowing you to download and freely use the resource for educational purposes.